Amy Winehouse was one of the most unique Singers of our time, Born and bred in London and repping Camden Town, Amy finally found international success with 'Back 2 Black' In 2005. I remember 2003 going to HMV music store to cop the 'Frank' Album. Listening to it I liked how she combined Jazz with hip hop with producer and Friend Salaam Remi who was also Nas' producer at the time. She sampled Nas' 'Made You Look' and since then built a friendship with him, going on to write 'Me And Mr Jones' about him. Which some viewed as her professing her love for him but if you listen to the lyrics she's referring to him as her Man in the music sense not as a love interest. 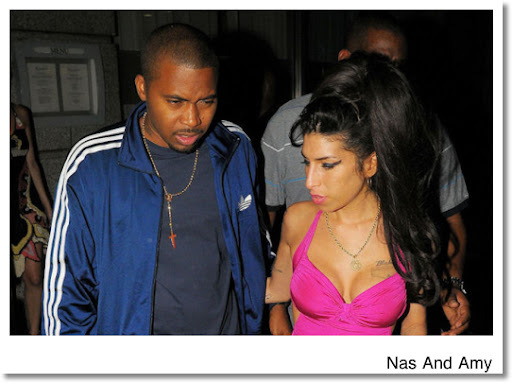 Nas called Amy his younger sister on BET and a close friend and this new track from her upcoming Album 'Lioness: Hidden Tresures' of Un-Released material the friendship sounds evident. Check out the track after the jump!